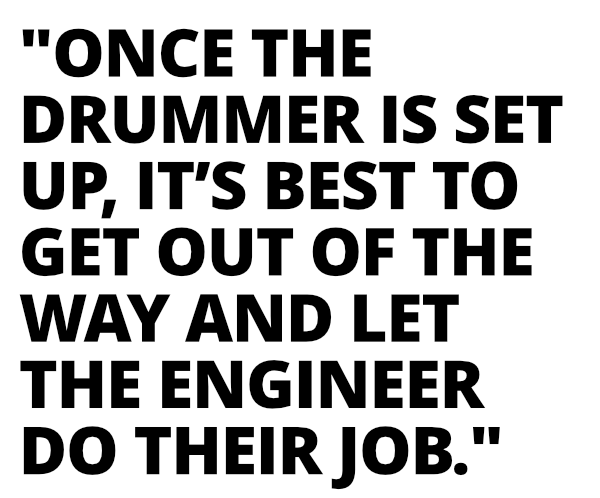 As most experienced drummers can attest, there’s much more to being successful in the studio than just being a good player. 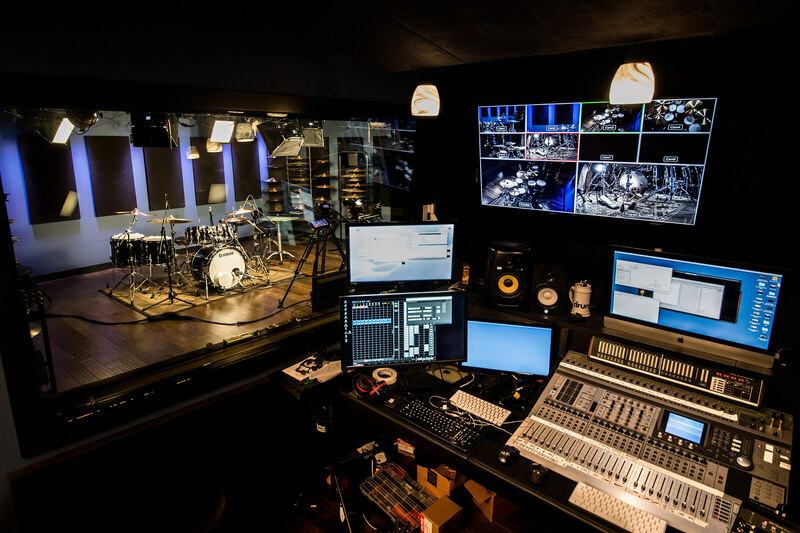 In Part 4 of our Pro Studio Tips Series, we’ll discuss how to interact well with engineers, producers, and other band members to successfully navigate the studio environment, and make edits and punches during a recording session. Besides being great players, the most successful studio drummers have one trait in common: people like working with them. They show up on time, they have a good attitude, and are genuinely happy to be there. They bring the right gear (see Studio Tips Part 1), have great time-keeping skills (Part 2), and come prepared to play the tunes (Part 3). However, there are even more things you can do to help you have a productive and fun day in the studio. The setup process is usually the most intensive part of an engineer’s day. So while you shouldn’t be shy about asking for the gear or headphone mix you need, be sensitive to the fact that there are many other things going on. 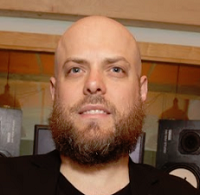 As the session continues, you’ll hopefully establish a nice workflow with your engineer and be able to focus your attention solely on the music. Use the engineer as a resource. It never hurts to ask their opinion about drum sounds and gear choices. You don’t have to take every suggestion, but remember: they’re in that studio every day and will likely have some valuable insight into how to make your equipment sound the best. To this end, try to avoid noodling or playing your drums between takes, especially when people are talking. If you need to check your tuning, do it at an appropriate moment. If you happen to be cursed with an engineer who is lethargic or has a bad attitude, take the high road and try to stay positive and upbeat. If the engineer is having gear or technical issues, be patient and stay out of the way so they can troubleshoot and get the session back on track. It’s equally important to show the same level of sensitivity and respect to other band members. Being in the studio can be intense and stressful, so it’s important to make sure that stress doesn’t lead to negative interactions that can derail your session and waste valuable recording time. As anyone who has ever been in a band can tell you, musical disagreements are a natural part of the recording process. However, these tensions and disagreements have also made a sizable contribution to some of the greatest recordings of all time. The Beatles are a prime example of four artists with disparate creative ideas who came together to create an artistic vision. They fought with each other and with their producer George Martin, but they were still able to record many great albums due to their mutual respect and love of the art they were creating. Put simply, making records can be a difficult and messy process. It can also be mentally and physically exhausting (especially for the drummer). However, it’s important to manifest creative disagreements in a respectful and productive fashion so you can have the best possible studio experience. Once the recording is done and you’ve left the studio, your part in the process is mostly complete. As Burst puts it, “the best way to make sure your drums sound good during mixing is to make sure they sound good when you’re actually recording them.” There are, however, a few things you can do during your session to make the editing process as easy as possible. For example, when you listen back to each take, make a list of any spots that need fixing as you go along. That way, if you need to re-record a section or phrase that was incorrect or messy (called “punching in”), you can play it right away while the idea is fresh in your mind. It can be tempting to “turn your brain off” and lose focus between takes, but it’s critical to listen back to everything you’ve recorded. There’s nothing worse than noticing an easily fixable error after the session is over and your drums are torn down. To avoid the time and expense of more studio time (and knowing how difficult it is to get the exact same drum sound and mic placement), be diligent in identifying any trouble areas and doing your punches right on the spot. Not every mistake will require you to replay the section. 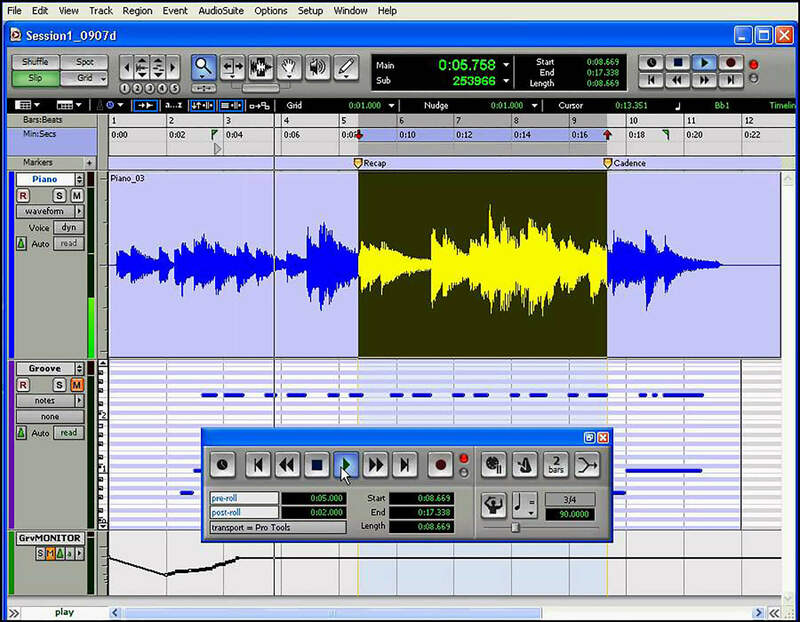 The engineer can often correct them digitally by nudging notes forward or back, cutting and pasting bits from other parts of the song, or even replacing entire sections. For example, if you and your bandmates decide you really like the drum part on the first verse of a song but don’t care for what you played in the second verse, it’s often possible for the engineer to copy and paste the desired part right into the session. If you’ve played multiple takes of the same tune, the engineer can also grab sections from one take and drop it into the other (Note: this only works if you recorded to a click track). However, in some situations it’s quicker and easier for you to just play it again rather than spending a long time doctoring bits of sound. If you do need to punch in a section, try to match the volume and intensity of the original take to avoid making the edit too noticeable. If the part you’re punching in was originally played on the hi-hat, avoid playing it on a different cymbal when you redo it. The goal is to stay consistent and make the edit as seamless as possible. When the engineer sets up a punch, they’ll start the playback a bit earlier than the spot you’ll be fixing: this is called “pre-roll”. Make sure they give you enough pre-roll to jump into the tune and play the part accurately, and don’t be afraid to request more or less lead time if the spot they’re rolling from is confusing or hard to pick up. Even though you’ll only be replacing that spot or section, it’s best to start playing as soon as you hear the music in your headphones to help ensure smooth transitions in and out of the punch. After you play, listen back to the punch in the context of the whole tune to make sure it doesn’t stick out. While modern recording technology has made it possible for engineers to make edits that were unimaginable in the past, there’s still no substitute for solid, grooving, and consistent drumming in the studio.